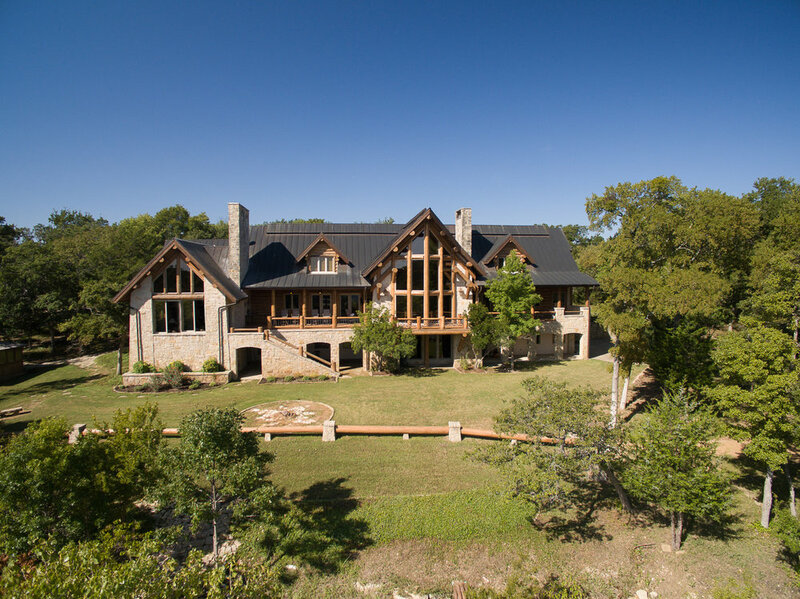 Majestic: “having or showing impressive beauty or dignity”… this 3-story lake home on almost 2.5 acres on the bluffs of Lake Texoma, looking out across the main lake body and Eisenhower State Park, embodies this definition. 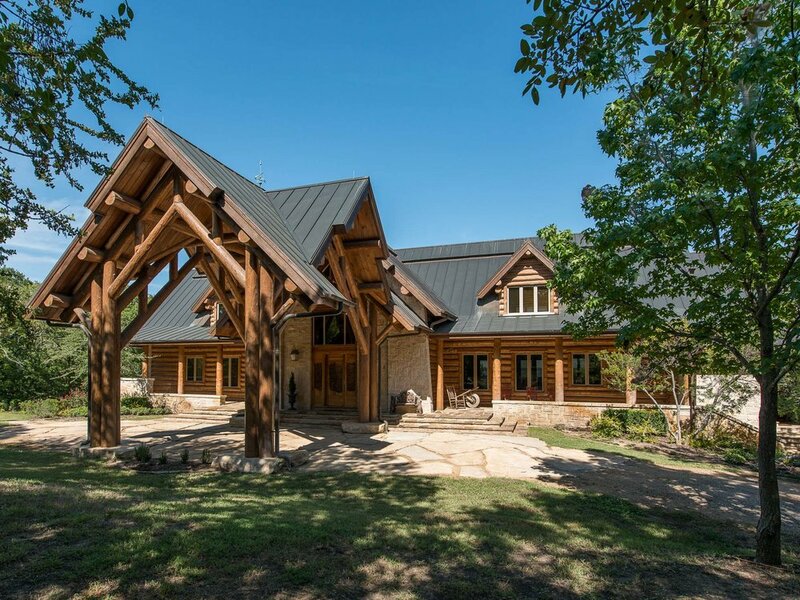 This architectural work of art was painstakingly built using imported hand hewn timber logs from Montana, Australian Cypress for the wood floors, a copper roof, and many other unique custom finishes. 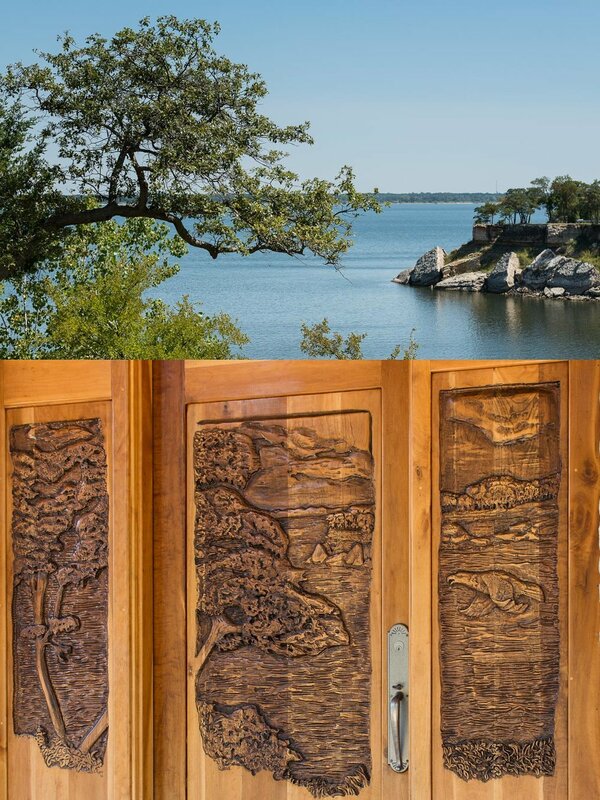 The large carved wooden front doors were specifically commissioned to match a scene overlooking the lake from this home. 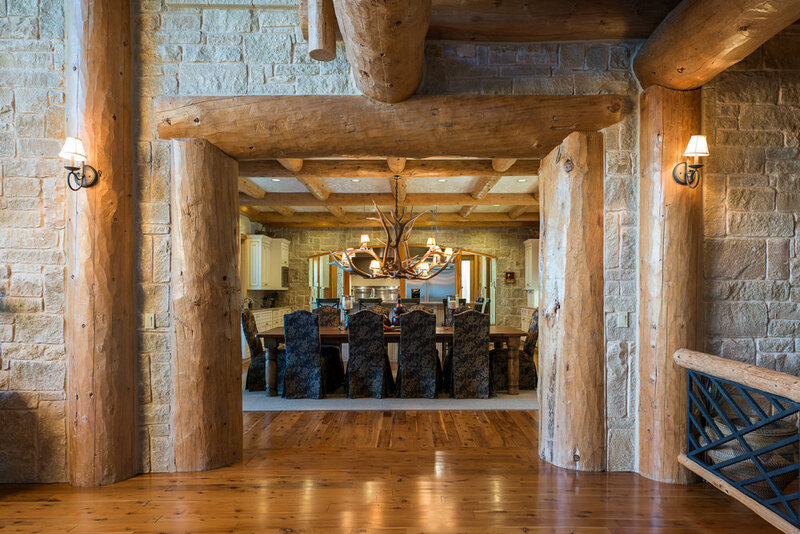 The split log columns and exposed trusses are remarkable. 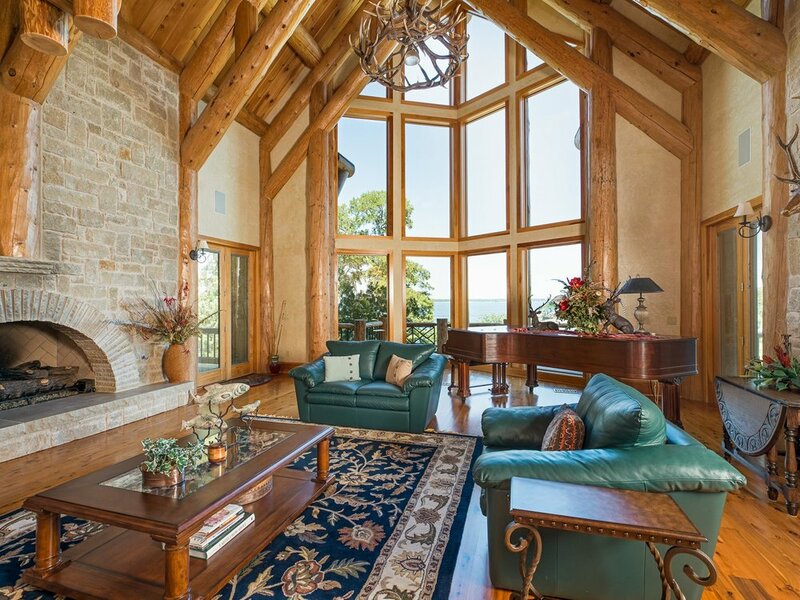 The main floor opens to the grand room with a 27-foot cathedral ceiling and windows looking out to the lake. 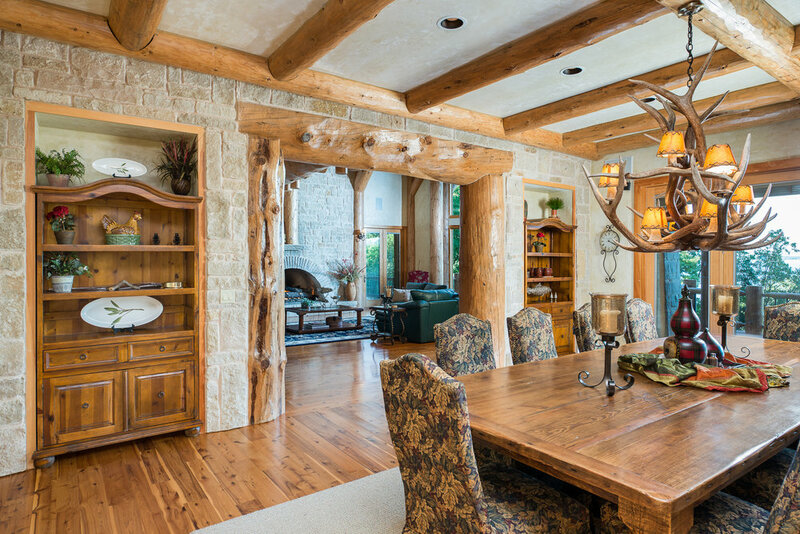 The dining room is open to the kitchen with French doors leading to a covered patio. 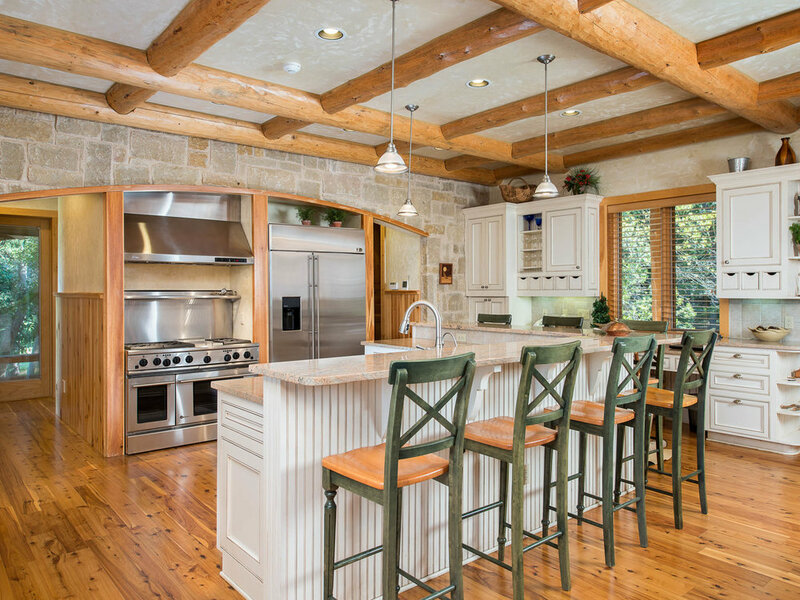 The kitchen has enough countertop space for 8 bar chairs, plenty of cabinets, an 8-burner range with a griddle, and a built-in desk counter. 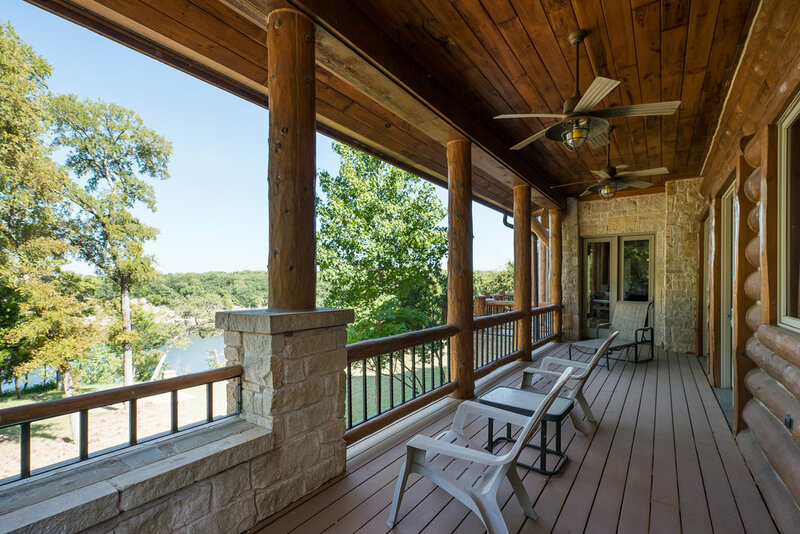 The Master suite has a beautiful stone wall, built-ins and access to another covered patio overlooking the lake. 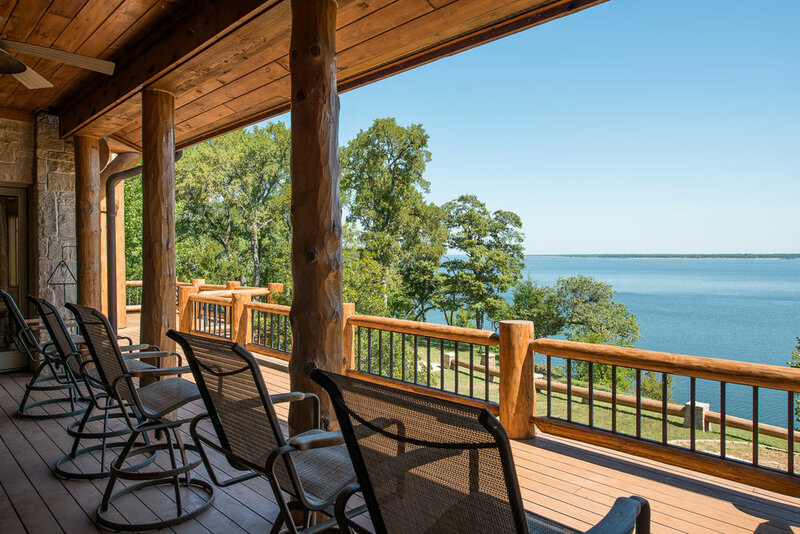 The Master bath has a clawfoot tub, separate shower, split vanities and a huge closet, and again views to the lake. Another special room the owner’s call the “All Seasons” room, has a cozy fireplace, large windows all around which open for fresh air and the noises of nature, and access to two separate patios. 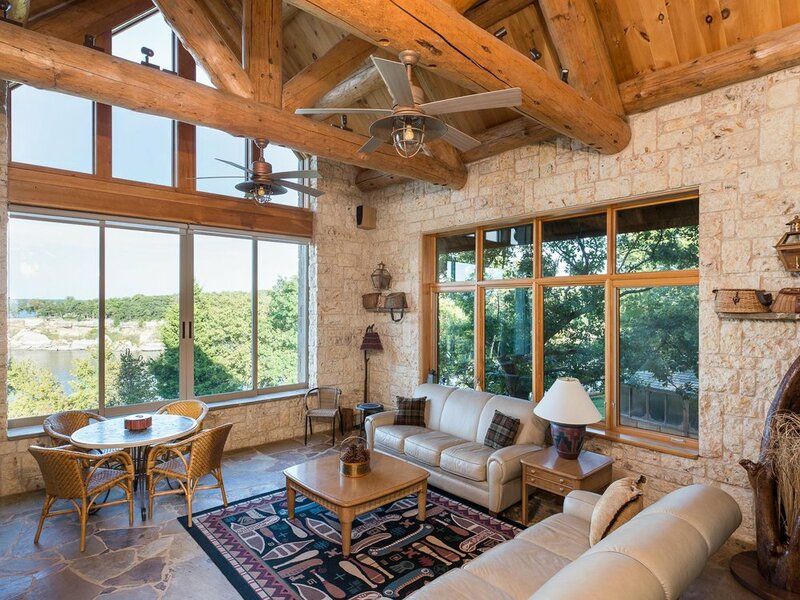 The treed front yard and the lake view backyard can be enjoyed from this room. 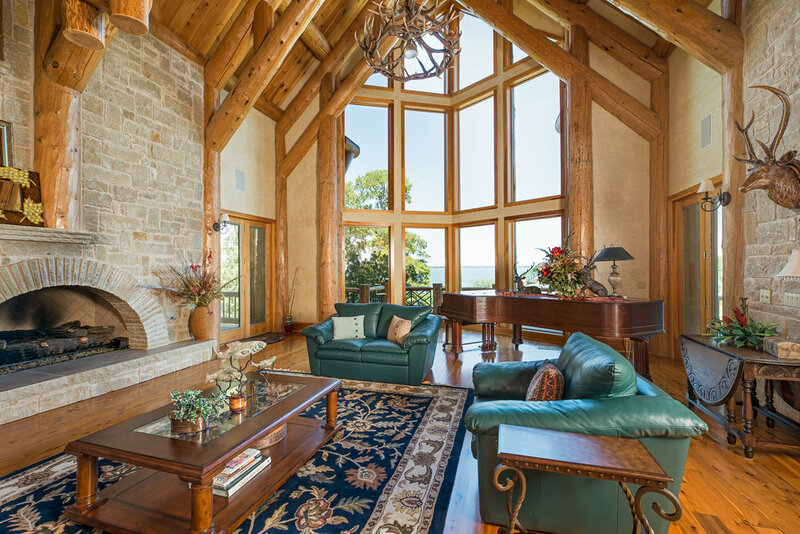 Take the elevator or the impressive spiral timber staircase upstairs to the loft overlooking the grand room with views to the lake as well. Two spacious secondary bedrooms are upstairs with built-in twin-bed sized storage seats and built-in desks. One room features a full bath with a large closet and second laundry area, PLUS a large walk-out attic space that could be used for storage or flex space. The other bedroom layout is similar with a full bath and a bonus flex room that could be used as a nursery or exercise room. 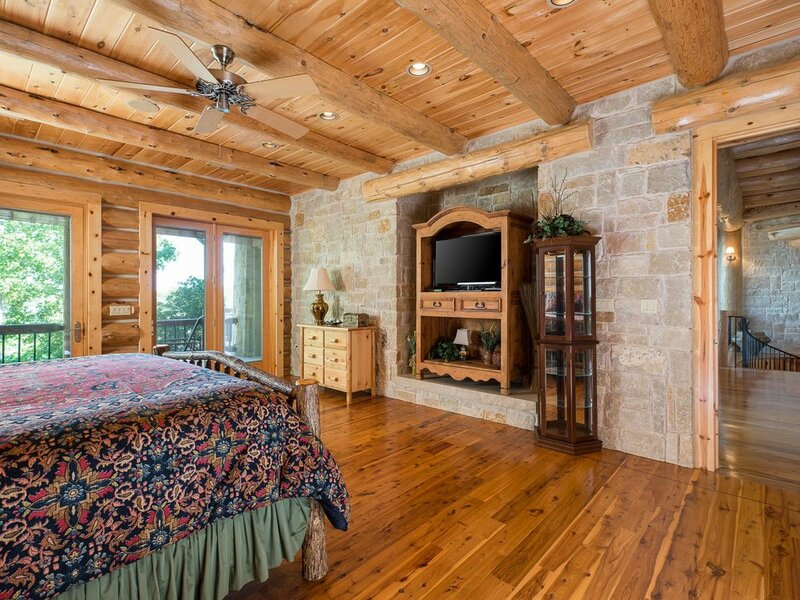 Both of these bedrooms have the same Australian Cypress wood ceilings. 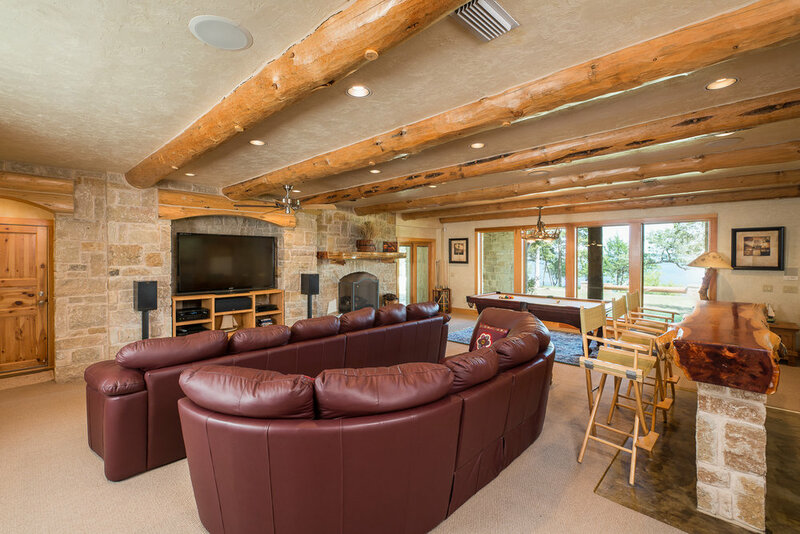 Take the elevator down to the basement level to experience the Lounge – a game room and media room in one, with a kitchenette and access to patios overlooking the lake. A cooled wine closet is located on this floor which can also be used as a safe room. Two more bedrooms on the bottom floor. One bedroom has a built-in office work space, and the other has built-in bunk beds along two of the walls for six additional beds and storage. The full bath in this hall has access to a covered patio with an outdoor shower. The garage has epoxy floors, a built-in workstation and an exterior door to the backyard. 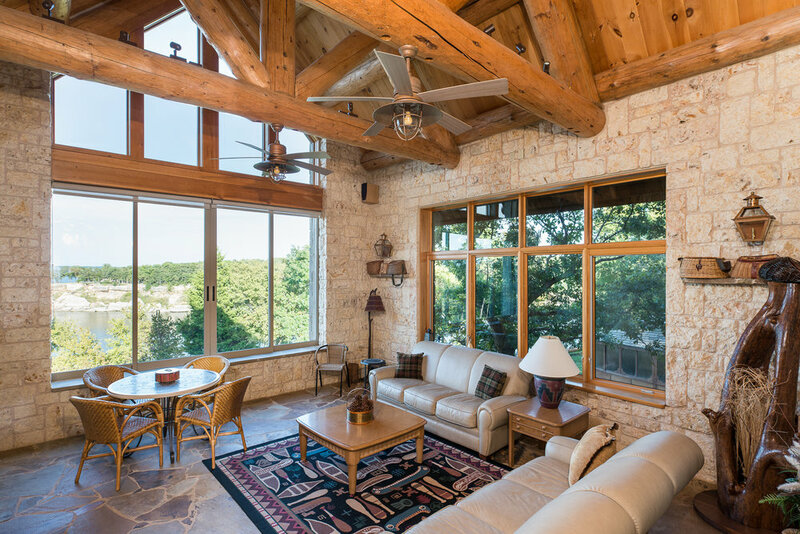 From the lower level back patio, access the 400 sq.ft. air-conditioned storage room where you can store your lake toys and more. An additional 295 sq.ft. room is reserved for the geothermal system and water filtration system. Other property features include: a central vac system, a gated entrance, full-property sprinkler system, a hot tub house, two water wells, 3 fireplaces, over 2,200 sqft of patio spaces around the home, an outdoor staircase to one of the covered patios, and a built-in grill on the main level back patio. 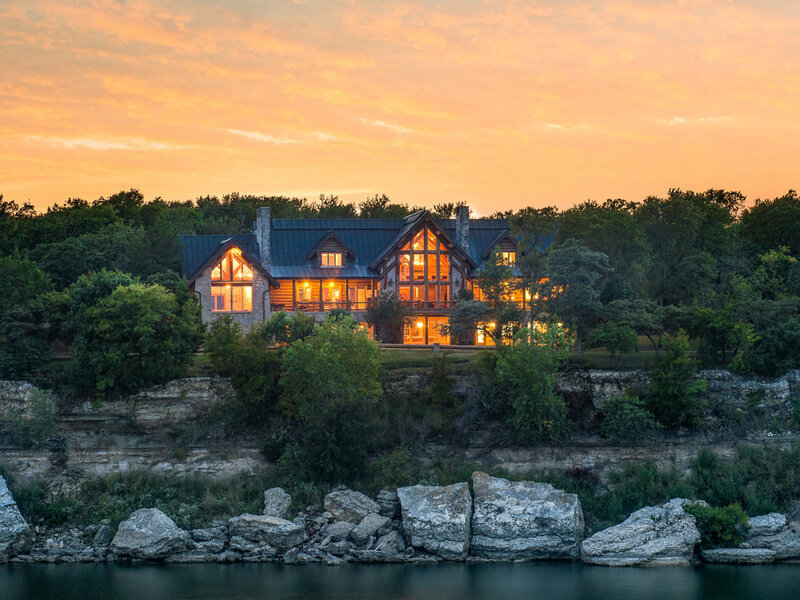 There is nothing ordinary about this amazing home. There are even more treasures and stories to this home which are documented in a build notebook at the home. 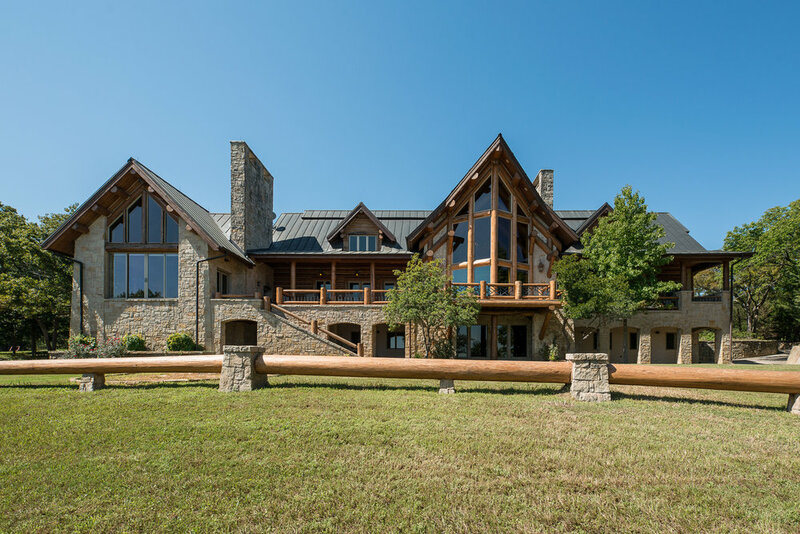 Much beauty, craftsmanship, nature, and serenity resides in this lake home for a special family to build memories. It would also make the perfect corporate retreat. 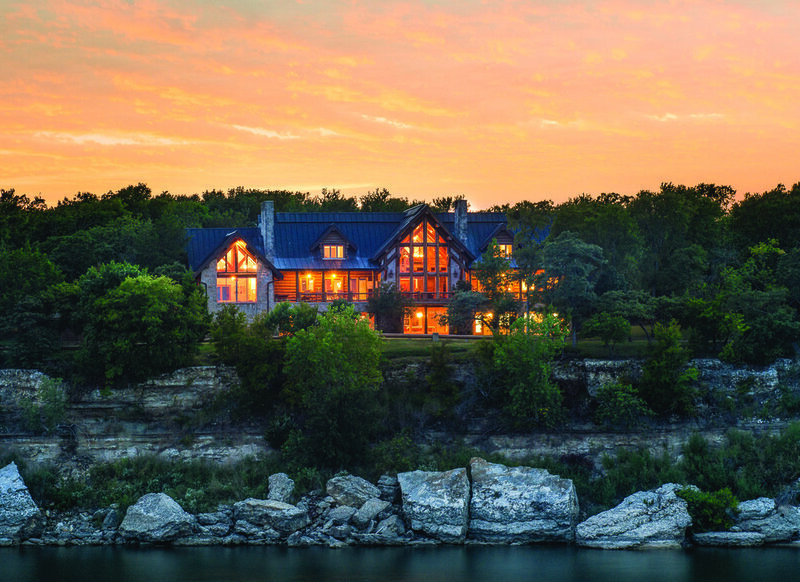 For more information on this property and others, visit www.debbrownrealestate.com. 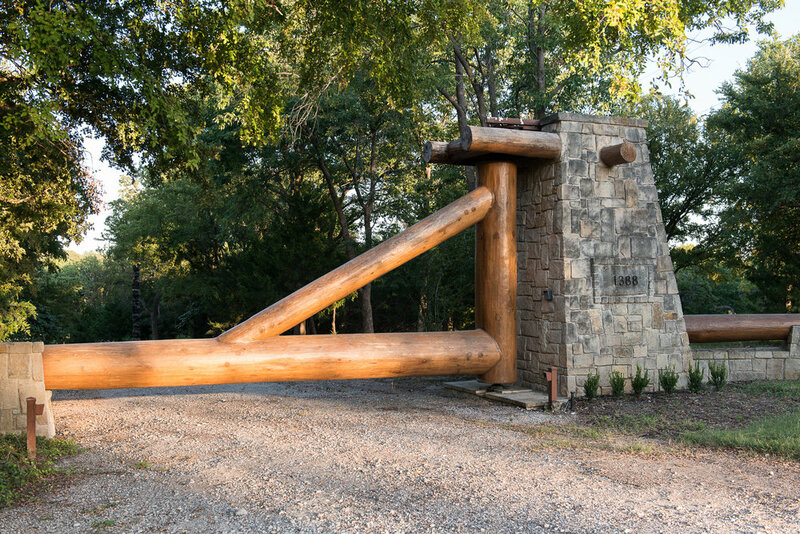 Denison is one of north Texas' best kept secrets. 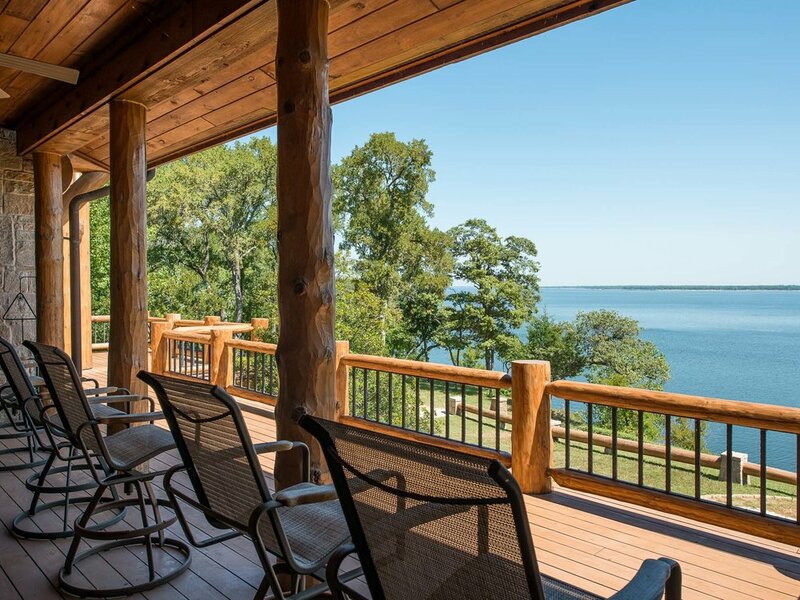 Birthplace of 5 Star General and 34th President of the United States and home of Lake Texoma with 580 miles of shoreline offering great fishing and all types of outdoor recreation only 4 miles north of downtown Denison. Museums, art, shopping, music venues, fantastic events throughout the year, and terrific dining await your arrival whether it’s for a day, a week or a lifetime. Denison has some of the friendliest people in the world, state of the art medical facilities, a junior college numerous lodging facilities and other amenities. 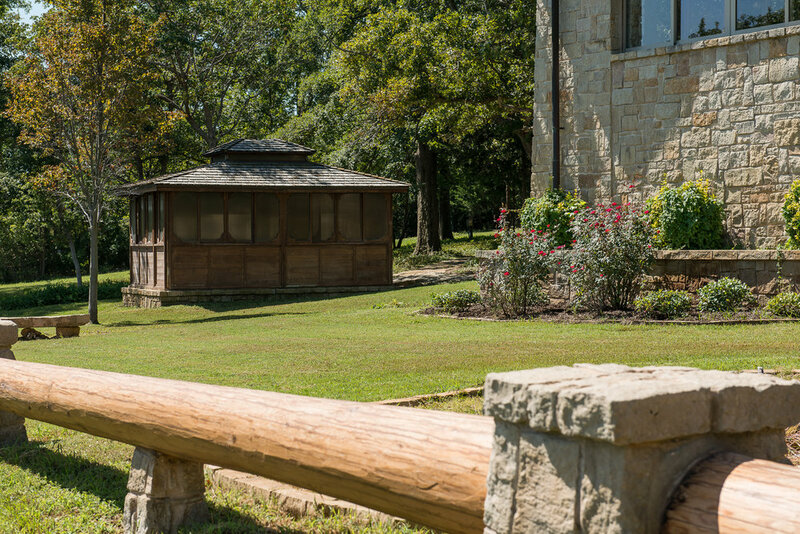 We invite you to Denison where we believe in our slogan of “moving forward – kicking back." For more information, visit www.denisontexas.us.